Teacher’s Comments: If you wander on down to Jackson, Michigan, it’s worth seeking out. 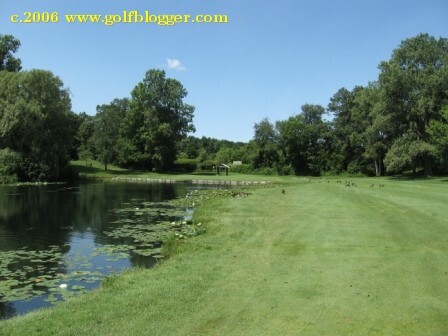 Gauss’ Green Valley offers a pleasant round of golf on a mature and well kept course. It’s got an “old school” resort feel and has been owned by the same family for nearly fifty years The holes have names like Hidden Valley, Scottish Trail, and Crater Hole. I think it’s a must play for those who enjoy older, parkland layouts. A caveat: although the track has the regulation 18, I still think it’s a hole shy of a complete course. The front is the shorter and easier of the sides, measuring just 2715 yards. Part of this is due to the fact that there are three par 3s there, including two back to back. Worse, the second of the pair measures just 95 yards. That’s what I mean by being a hole shy of a complete course. If that 95 yarder was a 400 yard par 4, Gauss’ would be a much stronger course. Unfortunately, I can’t figure out any way to either extend that hole, or reroute course—and I’m sure the owners can’t either. Still, aside from that hole the front nine offers some pretty fun golf. None of the holes are tricky, and for the most part, the danger is right in front of you. You just have to make good decisions and execute good golf shots. My favorite of the front nine holes is the par 4 second (photo top). At 310 yards, it’s not long, but is complicated by a large tree that blocks the view to the green from the middle to the right of the fairway. A good tee shot will take you just to the edge of the left side of the fairway (stay out of the rough, though. On the day I visited, it was brutal). 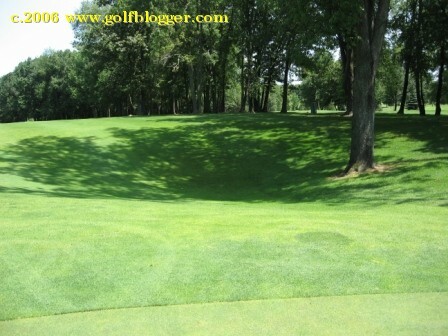 Your second then needs to thread between the fairway tree on the right and a line of trees on the left. Keep your ball below the hole because the back to front slope makes a comebacker difficult. The back nine measures 3,320 from the blues and is apreciably more difficult. The holes feature elevation changes, and are mostly lined by light woods. A pair of par fives open the back nine.The 460 yard tenth heads uphill and so plays much longer. The 530 yard eleventh requires you to carry a significant valley. The twelfth—known as “Pon View”—is the course’s “signature hole.” (photo second from top) A dogleg left that starts at the top of a hill, it bends down and around a pond. Most golfers can get the ball to the bottom of the hill. The difficulty arrives in deciding what to do with the second shot. The green is tiny and sits on a litle peninsula—anything less than a precise shot will get wet. There is, however, an out. You can let your second shot follow the fairway right around the pond, and then use the third to pitch from the fairway to the green—a much safer plan, but one that makes it difficult to make par. I like decisions like that on a course. One other feature on the back nine deserves mention. On several of the holes,there are large circular depressions in the ground—a couple as deep as a man is tall. They look for all the world like huge pot bunkers that someone forgot to fill in. But an older gentleman that I was playing with told me that the holes are, in fact, meteor craters. Conditions on the day I visited were pretty good—but that’s probably to be expected for a fifty year old course. It’s had plenty of time to mature. The fairways were green and there were no glaring bare spots. The putting greens also were very healthy—but there were a couple of bare spots in areas that were fully shaded. The tee boxes could use a little work, though. As with most courses in July and August, areas off the immediate rough were hardpan. I had a great time at Gauss’ Green Valley and look forward to going back. 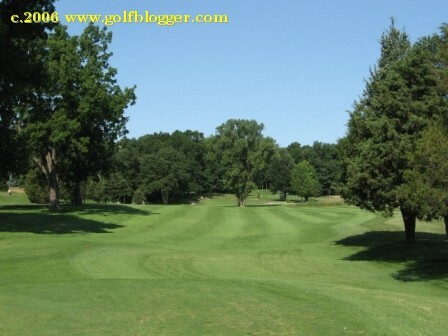 The Gauss’ Green Valley Golf Course Review was first published September 3, 2006. Wonderful golf course. The grass is in a very good shape, not so many trees in the way and it’s almost always sunny. I know that’s not controlled by the club owners but every time I played there the sun was shining. One of the best courses I have ever played. The greens were in great shape and the staff was very friendly.